Prospective MBA students are invited to learn more about the Belk College's top-ranked MBA program at an information session on Thursday, December 6th, from 12:00 PM to 1:00 PM in room 806 at UNC Charlotte Center City (320 E. 9th Street). Attendees will have the opportunity to meet program administrators, current students, and alumni. Belk College staff will present an overview of the MBA program, followed by a Q&A period. An overview of the application process, financial information, and GMAT/GRE information, among other topics, will also be discussed to help you see how the Belk College MBA can meet your individual needs and goals. 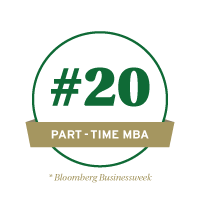 A half-mile from some of the nation’s financial giants, UNC Charlotte students immerse themselves in our top-ranked MBA program. Every year, our graduates flood the ranks of the Fortune 500, with an average salary increase of $20,000. Our rigorous curriculum is designed to meet the needs of both working professionals and full-time students. 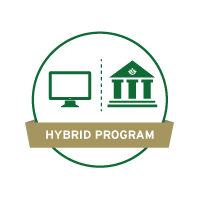 The option of traditional or “hybrid” format courses give students the flexibility of learning online, and the opportunity to engage, network, and collaborate face-to-face at our Center City campus. Further specialize your degree with more than a dozen concentrations including unique options such as: Applied Investment Management, Business Analytics, Energy or a student-structured option. Enhance your global acumen with intensive, week-long study abroad courses. Regardless of your background, the Belk College of Business MBA program can be customized to meet your individual needs and goals. Now offering a GMAT/GRE Waiver: An exclusive opportunity for highly experienced business professionals with budgetary and leadership experience and a strong academic record to qualify for a GMAT or GRE placement exam waiver.